County and municipal governments directly affected by drilling will receive a total of $93,128,340 for the 2016 disbursement year. 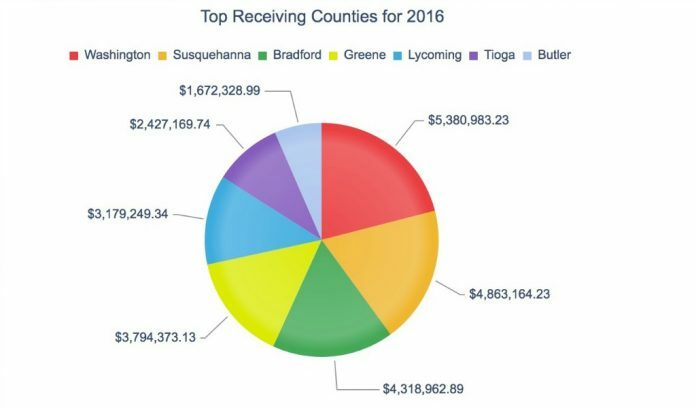 The top receiving counties include Washington County at $5,380,983.23; Susquehanna, $4,863,164.23; Bradford, $4,318,962.89; Greene ,$3,794,373.13; Lycoming, $3,179,249.34; Tioga, $2,427,169.74; and Butler County at $1,672,328.99. Additionally, $62,085,600 will be placed into the Marcellus Legacy Fund, which provides financial support for environmental, highway, water and sewer projects, rehabilitation of greenways and other projects throughout the state. Also, $18 million will be distributed to state agencies specified by the Act. The PUC expects checks to be distributed in early July. This year’s distribution is approximately $14.5 million lower than last year, driven by a continued reduction in the price of natural gas, which again resulted in a $5,000 per well reduction in the fee paid this year, along with the increasing age of many wells, which also reduces the per-well fee. This decline has resulted in funding changes for many individual municipalities, as detailed on the PUC’s Act 13 site. 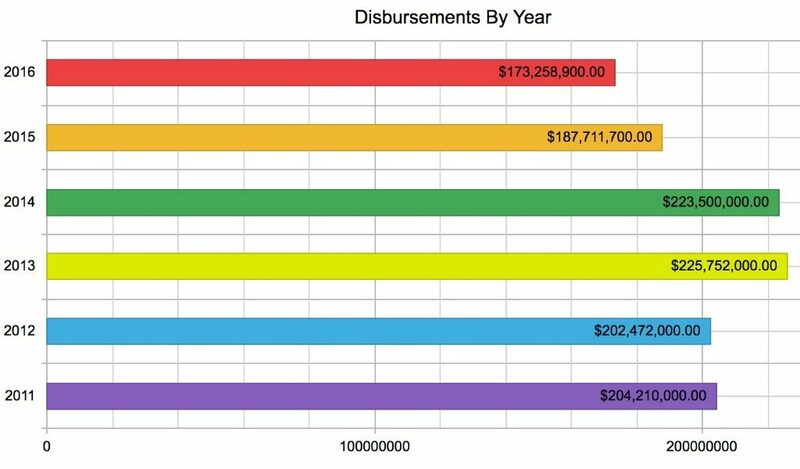 Over the past six years, the PUC has collected and distributed more than $1.2 billion in impact fees to communities across Pennsylvania. Visitors can search and download statistics including distributions to individual municipalities or counties; allocation and usage of those funds, based on reports submitted by various municipalities; eligible wells per county/municipality; and payments by producers. The PUC is responsible for implementing the imposition, collection and distribution of an unconventional gas well fee (also called a drilling impact fee) was established by the Unconventional Gas Well Impact Fee Act, signed into law as Act 13 of 2012.